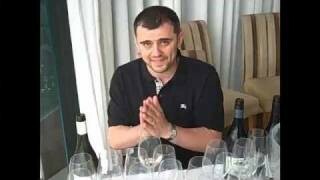 Gary Vaynerchuk travels to Cleveland to taste some wines and he does it at another football stadium. Awesome show. How many stadiums does that make it now? QOTD #1: I would drink more expensive less often. Since I am a poor Graduate Student with a crap ton of debt, I define an expensive wine as one over $15. It has been my experience that the ore expensive wines bring thunder to my palate. QOTD #2: Never really watched Gilligan’s Island. Therefore, no preference. Very good show, sorry to be so late, have been away teaching. QOTD#1 – At this point in my development I would drink more of the lesser costs to get a greater range of experiences. Good fun show – really liked. QOTD1: Prefer more good reasonably priced wines more often with some more expensive, better/special wines, every now and then. QOTD2: sorry .. non-USA – no relevance. We await you at Heinz Field! GO STEELERS!! Perish that thought 25 years ago! Cleveland native and former avid Browns fan here. It’s SO much more fun living in Steelers Country—we always have hope! But Cleveland’s still home in my heart, and I’m there all the time. LOVE Ferrante Winery (especially the restaurant). I am not a fan of dessert wines, but I guess I’ll have to pick up a bottle next time I’m there to experience a THUNDER ice wine! A good friend of ours is a Cleveland Wine School “grad.” I’ll have to send him this episode. Nice job, Marianne! Hubby and I are stuck on uncovering GOOD, inexpensive wines on a rgular basis…but both of us would love to try more expensive wines of high repute more often. Perhaps we’ll get to do that on the Thunder Cruise! AWESOME! BTW, I gave the Saint Joseph Pinot Noir an 87 a couple of years ago but it obviously was a different vintage. Marianne, I love you, Girl! QOTD1: I’d rather drink more good wine and less not-so-good wine. According to my wife, this means I’d rather have fewer expensive (good) bottles than more cheap (not-so-good) bottles. Of course, that is a gross generalization. QOTD: I guess it’s cheating to drink less expensive wine frequently while I’m waiting for the special opportunities to have the more expensive wine less frequently. I can do it all. As long as I can have wine. Surely that must be the sentiment of anyone who drinks wine for more than just the alcohol! I could care less if it was expensive or cheap, I just want good wine. Good show, and your prediction was spot on, Jets beat Browns! QOTD – Fewer bottles, higher price/quality. Gary I’m into the stadium tour but I think it would have been OK if you skipped Cleveland. BTW, nice game Brownies. How many losses in a row to Steel Town? QOTD: 1-better wine less often 2- mary ann rocked it. Huge childhood crush. hahahahahahaha “Paris Hilton’s disgusting! !” Agreed, my man, agreed. Glad to see another Ohio wine bring it on the ice wine. It seems to me that for now their wines lie in whites/ice wines. Obviously there may be great reds out there but we’ll see in the future. Great guest, even if she is a Browns fan ( boo! ) QOTD1: Id rather drink nicer wines less often. I dont think I could give up drinking the nice German reislings or top quality dessert wines. QOTD2: Mary Ann. She had heart. Gigner was all about herself…. boring. Don’t know how I missed this one (being a browns fan and at the Learned owl), but nice show. QOTD: Less often, more expensive. This is assuming higher quality, although price may not dictate quality, I would pay for a bottle that had some age on it, which you will always pay for.